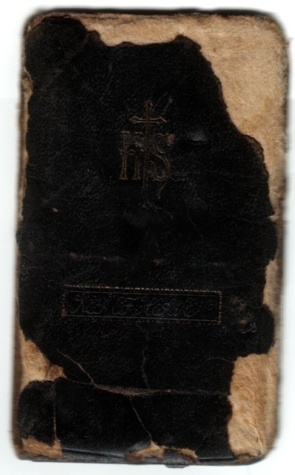 Among some of Hymie's treasured possessions, is this hundred plus year old personal prayer book that was given to him at a young age by a teacher at St. Malachy's Catholic school. Hymie thumbed through it in his idle moments. This book was supposedly with Hymie at the time of his death. 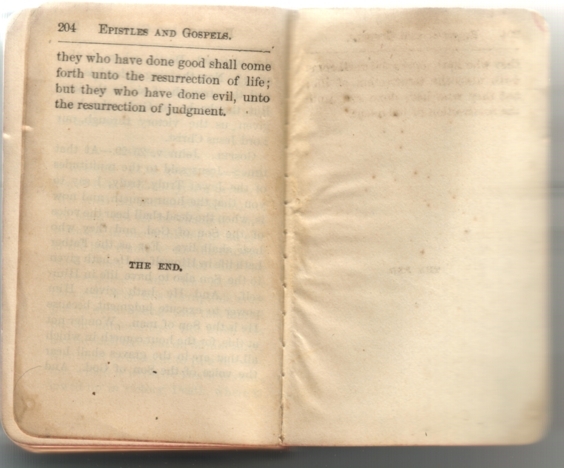 Although old and falling apart, I have deacidified the pages and applied cellugel to the covers to prevent further red rot and decay. 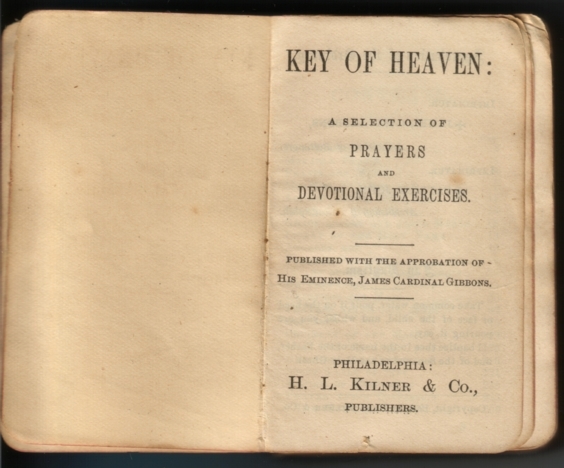 Front cover of the Key Of Heaven published in 1907. Earl J. "Hymie" Weiss personally inscribed (signed) prayer bible. The address is listed as 2200 Austin. This was a building which housed a few families such as an apartment would. The Weiss family was here until 1909 when they moved to building at 2159 Austin, which also had a grocery store. Mary had been separated from husband Walenty, who was now staying at the family home situated at 3808 Grand Avenue. By 1920, Mary Weiss took her turn and would live at 3808 Grand while Walenty would then move in with his daughter Violet and her husband Patrick Monahan on Northwestern Avenue. This was short lived because Mary, Violet and her husband would then move to Oakdale Avenue. Walenty would go back to 3808 Grand. Where was Earl? In 1918, he was living at 2304 Fulton Street. In 1920, he had moved with his brother Fred to 41 North Paulina Street. It is here that he will shoot his brother in the stomach. In 1922, Earl is staying at 2317 West Monroe. He will eventually move into the Rienzi hotel at 600 Diversey Parkway. First off, a signature should never be identical one document from another. There should always be slight variances in the letters. If it's identical then it's a fake as an auto pen may have been used! I was recently asked about Hymie Weiss and his signed bible that was printed in 1907. Here we will examine Hymie Weiss' signature. Remember that his real name was Henry Wojciechowski. 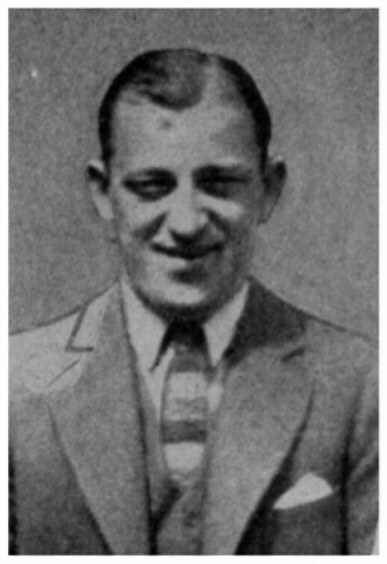 His mother still went with Wojciechowski as of 1920, while the siblings were already riding with Weiss by that time because writing and saying their real name while schooling just proved to be a real pain. Weiss was chosen, but writing a name that isn't really yours, such as Earl Weiss can show some inconsistencies on various documents. Especially when you are of the criminal element. 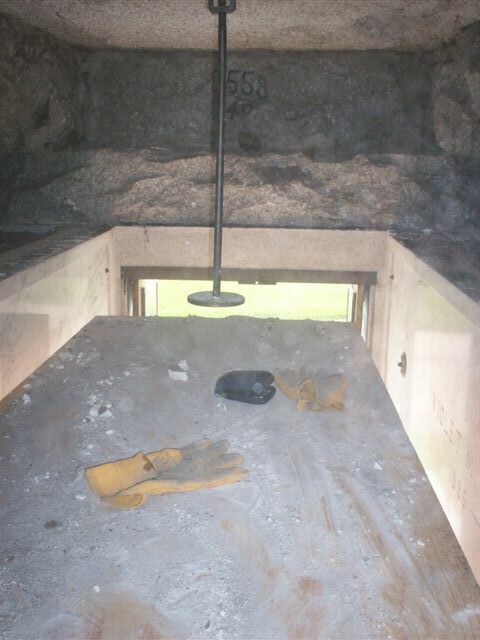 The first photo shows the Weiss bible signed that was in his mausoleum. I'm estimating due to the address listed in the bible that Earl signed it when he would have been 10 years old. Impossible some might say for a 10 year old, but think again. A child usually learns to write their name by age 5. Another indication is that schooling back then involved learning the lost art of intense writing which kids do not do much of today, all thanks to technology. The second photo is the Hymie Weiss military registration card. While the first two are not identical, they are very consistent with the letters as in the flat topped J and with the EISS which shapes a sort of W. The E in Weiss are both capitalized. None of his siblings or mother signed the E of Weiss in a capital form. Also, the J is dead on if I place them via transparency. (SEE VIDEO BELOW). This makes the signature authentic as being Earl's signature. Military Registration card signed in 1918. If the sigs do not match does it mean it's not his? Answer is no. Why? Because compare the 2nd and 3rd photo. Both are Earl's signature on two official documents. 3rd is a court document in which he was arrested at the Rienzi Hotel with Frank Foster and Ed Vogel. Here he does the big E in Earl but surprisingly a small e in Weiss. Court document signed June 29,1926. And final video above shows how the letters match slightly without being too exact. This is what we are looking for. 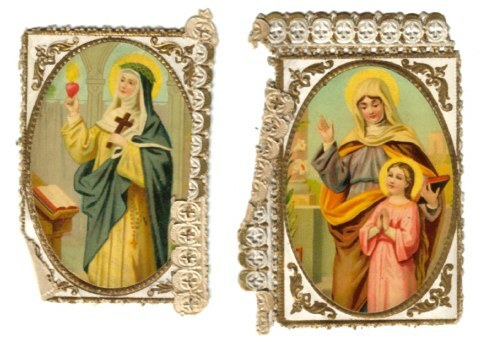 Two Saintly paper cards in booklet. How fitting what is written in the back. Hymie must have seen it's significance, and in the end knew the consequences. Special thanks to Weiss relative Mr. Robert Koznecki who made this item possible for the myalcaponemuseum collection. 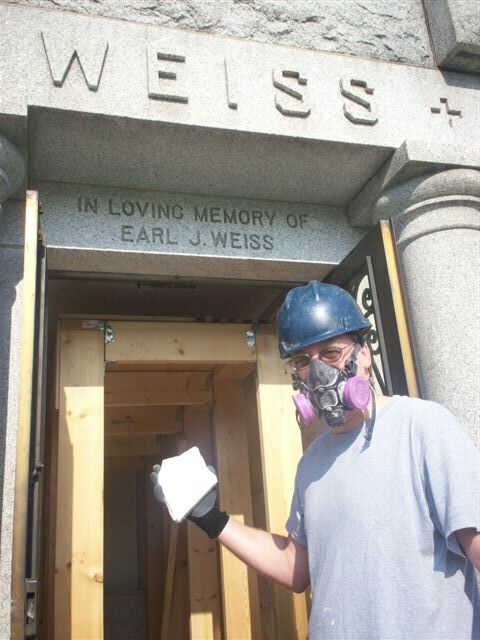 In the summer of 2007, Weiss' relatives undertook replacing the near collapsing ceiling in the Weiss mausoleum in Mt. Carmel cemetary. 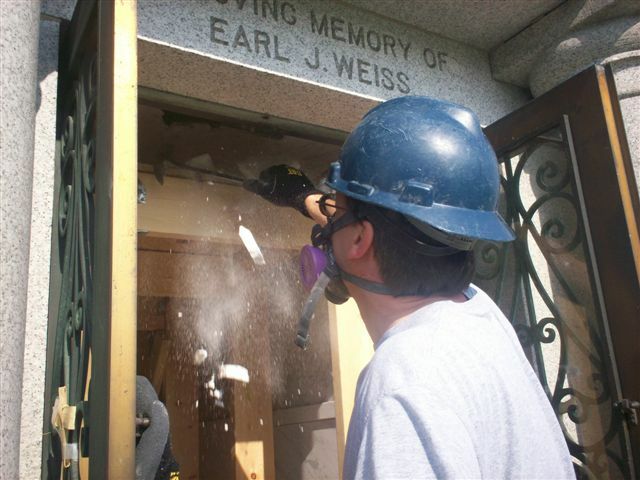 Seeing as it's somewhat of a tourist attraction and a part of Chicago's history, Bob Koznecki decided to fix the ceiling before it could collapse hurting someone or probably damaging the final resting places of the Weiss family. 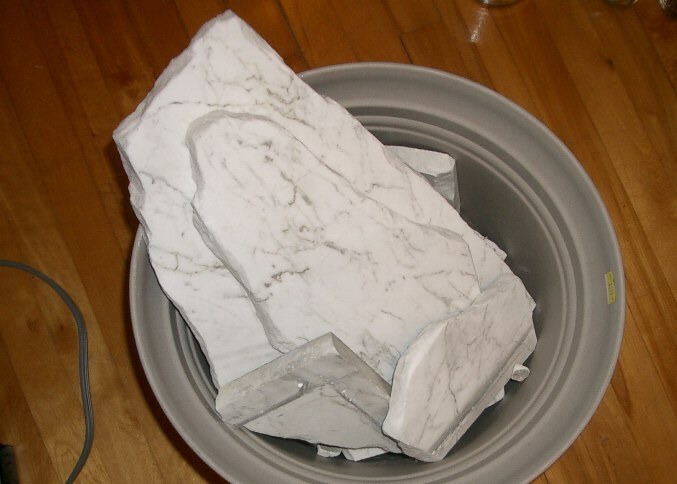 The marble was sagging after 80 plus years of freezing cold winters, and scorching hot summers. 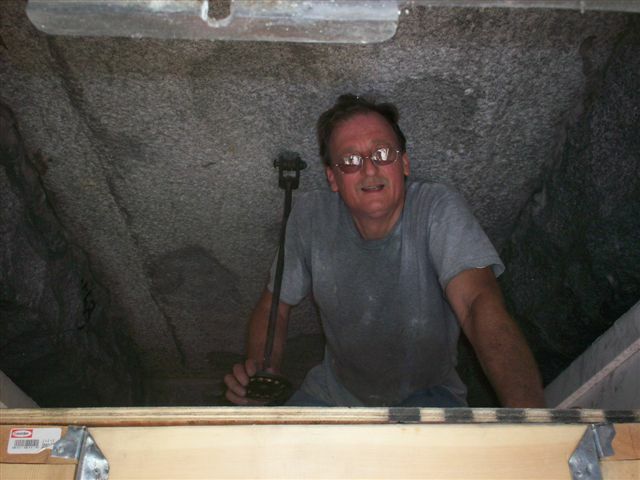 Scaffolding inside the cramped mausoleum was built by Bob and Brian for safety and then the ceiling was carefully disassembled. A spanking brand new ceiling was installed, one that would make Earl and the family proud that they were not forgotten. 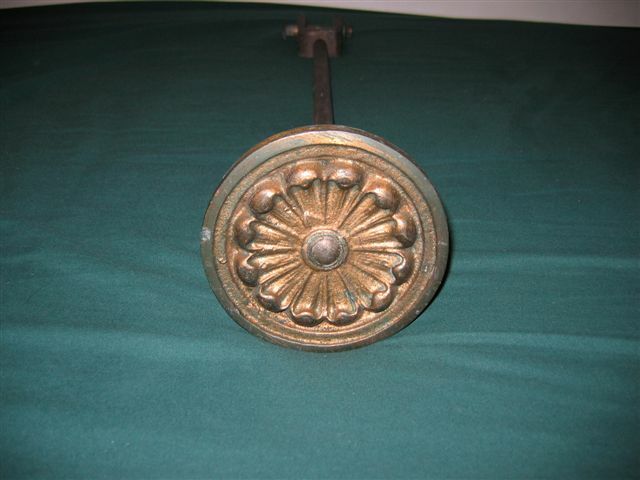 Since it no longer figured in holding the new ceiling (it wasn't needed), and after pestering Bob, I acquired the decorative brass rosette that was holding part of the old ceiling up. No longer needed to hold the new ceiling up this brass Rosette from Hymie weiss Mausoleum is now part of the myalcaponemuseum collection. 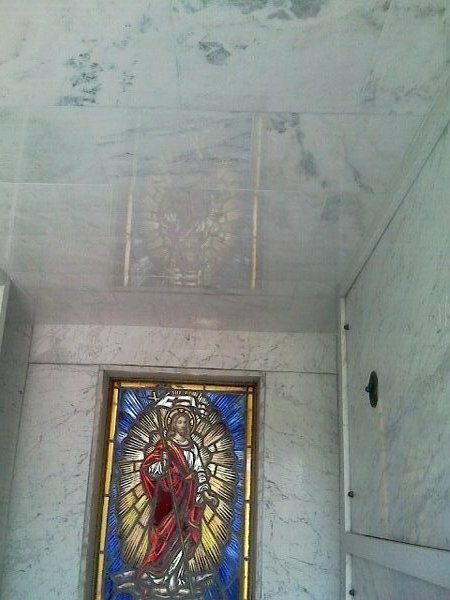 Inside view of mausoleum on top of scaffolding. Note rosette dangling from roof. 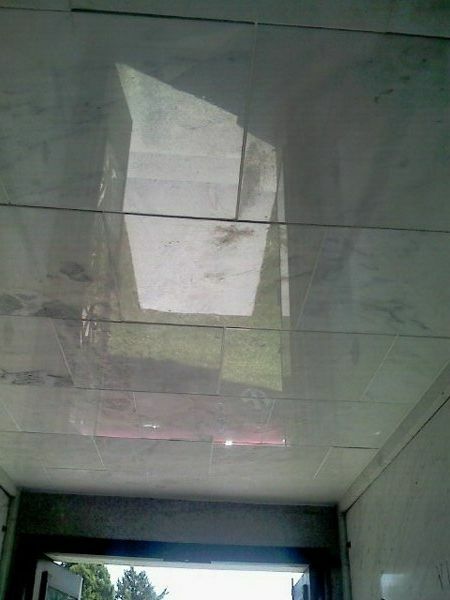 Numbers on parts of the mausoleum were made by constructors for easy reassembly at cemetary for Hymie's new home. 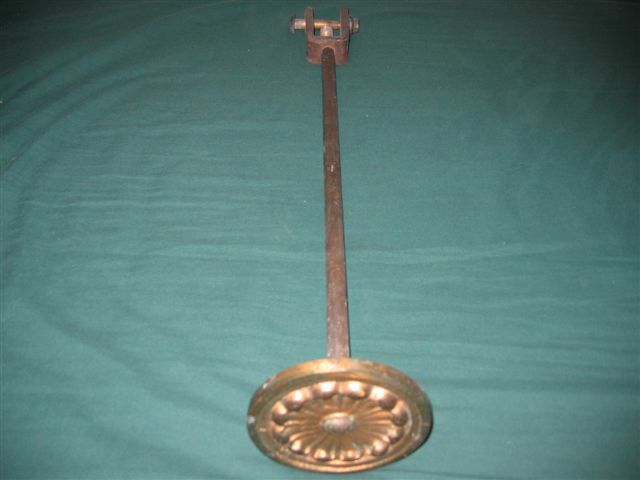 Long brass rod that attached to rosette and kept ceiling up for 80 years. Bob slowly and carefully chipping away around scaffolding. Bob's friend Brian (left) and Bob removing a slab of the old and faultering marble ceiling. 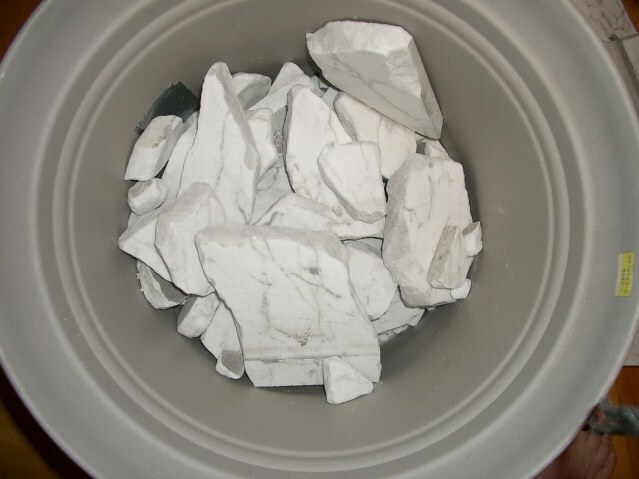 Bob was so kind in offering the marble pieces for my collection. It's still much appreciated my friend! The brand spanking new marble ceiling today that was installed by Bob and Brian. View of the new ceiling from inside of Weiss mausoleum looking out. 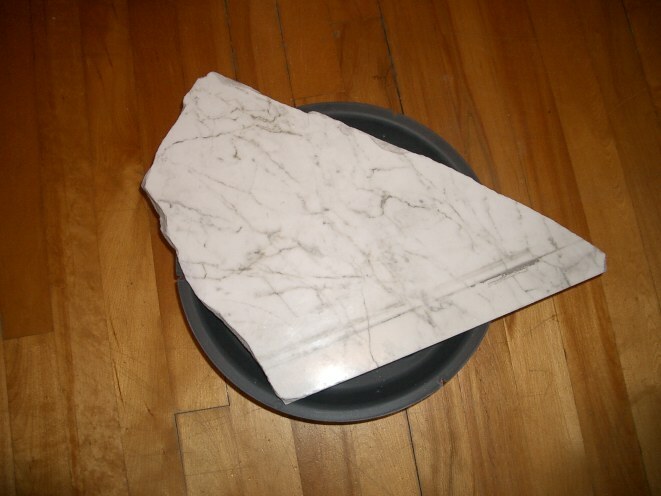 Underside of marble. 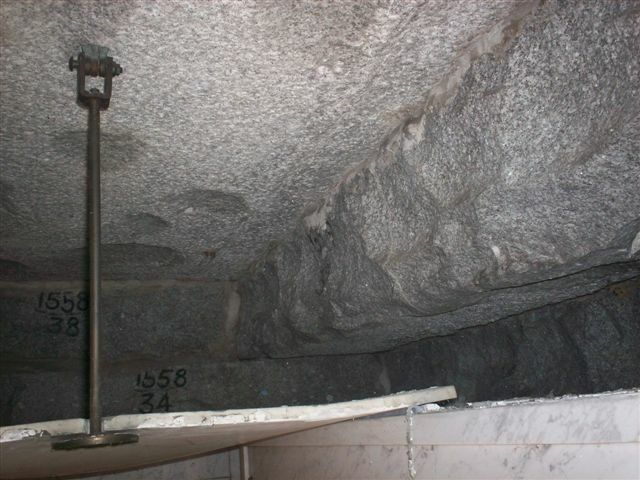 This side was facing under roof of mausoleum. 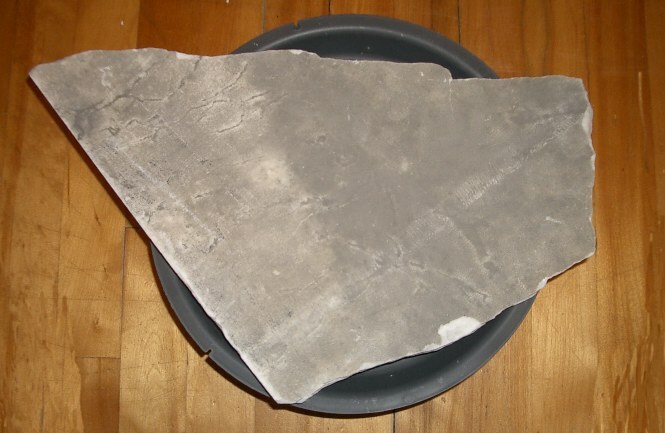 Other miscellaneous pieces from ceiling. Smaller pieces and rubble of ceiling.